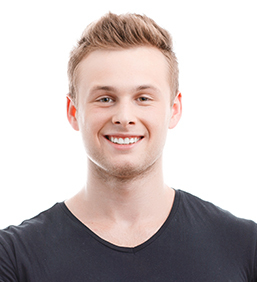 It might be perhaps true for you that a day doesn’t pass by without you coming across an advertisement or a news report about the possibilities of hair transplant in Manchester and how a hair loss treatment could impact your life. Do you at times wonder if they are all part of some kind of myth? You could be right and you also could be proven wrong if you are being fair to the scientific evidence that completely backs the benefits and plausibility of a hair treatment which has its focus on re-growth. Again, you could ask if the re-growth of hair from the scalp which lost its potential could not be real and it probably is a myth. Your apprehension needs to be backed up by a solid thinking which is the case with proactive treatments which are derived based on a systematic research work which has both pre clinical and in clinic performance data. You might have certain doubts and apprehensions about the solutions that are being offered by people or certain groups without any proper scientific data derived from systematic clinical research. These are the areas of difference that would clearly differentiate the advantages and benefits of technically advanced treatments that are approved and authenticated by the statutory forums of aesthetics and cosmetology. Plastic surgery is the conventional terminology used for cosmetic surgery and it is still a popular way of referring certain treatments of cosmetology that involve invasive, minimally invasive and surgical procedures. Today, the advancement of cosmetology is being directed towards non invasive treatments which are still cosmetic in nature. Non invasive cosmetic treatments are external treatments which are administered by using upgraded technology applications derived from laser and ultrasound principles, though they are performed over the various parts of the body like skin and scalp, they do not require any invasive measured to reach out to the target regions like follicular mass or hair follicles that form the basis for the natural hair growth. Apart from the revolution in the cosmetology in terms of the non invasive procedures, the advancements are also directed towards implementing invasive procedures with technology sophistication. It is possible with the medical equipments that are designed to salvage the pain during and after the surgical process. This also minimizes or significantly reduces the need to administer anesthesia which is not completely recommended for the treatment procedures that are not curative. Though this aspect is further debatable, the fact that the need to essentially administer anesthesia is reduced is a welcome development. It is so true that even hair transplant treatment need not have an extended hospitalization to ensure the patient is well taken care of. You need to smartly consider the ways and means of optimizing the cost of hair loss treatment as well. With all these positive inputs about the new generation hair treatments that are meant to help regenerate the potential of scalp to re-grow hair, your doubts and apprehension about the effect of these treatments are unnecessary, though it is valid to have such a thought process. It can rather help you to do more in detail to study various aspects of the treatment and the options given to the patients by the premium health centers in Manchester. 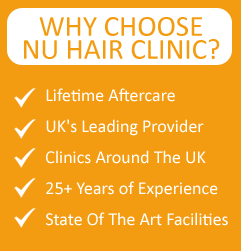 In fact the city of Manchester has specialized cosmetic centers that are exclusively designed to be the hair clinics where in they offer a solid range of hair treatments. The present generation hair treatments are focused on preventive strategies and it would be apt for you to consider gaining more knowledge about hair care and management treatments that are meant to sustain your health hair. This entry was posted on Thursday, July 30th, 2015 at 10:35 AM	and is filed under Follicular Unit Extraction, Hair Loss Treatment, Hair Transplant, Hair Transplant News. You can follow any responses to this entry through the RSS 2.0 feed. Responses are currently closed, but you can trackback from your own site.